Looking for a new home? You are not alone. Dogs need homes too! Adopting an animal is a great way to acquire a family pet, and there are always animals looking to find themselves a good home, as well. In particular, there are three dogs available for adoption in South Jersey which overcame incredible odds to even be alive. Imagine rescuing a dog which recently was on the human equivalent of Death Row. The big difference is, these dogs did not do anything wrong and did not deserve to be killed. These dogs just happened to be in the wrong spot at the wrong time. 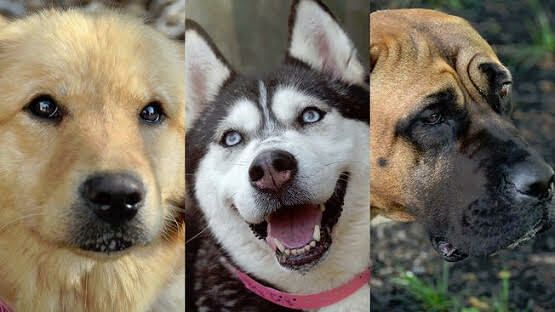 The dogs I am referring to are Joey, a 1-year old Golden Retriever; Liberty, a 1 to 2-year old Siberian Husky; and Tisha, a 2 to 3-year old Japanese Mastiff. These dogs were saved from a South Korean meat farm as part of an international effort to cease the practice of the Korean farming of dogs for meat. “These dogs have overcome insurmountable odds, and have traveled a great distance to find someone to provide them with the love and care they deserve,” said Freeholder Jeff Nash, liaison to the Camden County Animal Shelter. The rescued dogs are available for adoption along with many other animals at the Camden County Animal Shelter. They are located at 125 County House Road in Blackwood, NJ. If you would like to find out more information on these dogs or any other animals you can call the shelter at (856) 401-1300 ext. 102.